The governing body that represents the world’s mobile operators is expected to discuss the ongoing issue of Chinese telecommunications vendor Huawei at this month’s Mobile World Congress in Barcelona. The GSMA has proposed to its members that they hold a discussion regarding the possibility of a blanket ban on Huawei from the majority of developed markets within the ICT ecosystem. A number of leading operators have expressed their disapproval at the tactics being used against Huawei, with many feeling it is a politically motivated campaign being led by the United States. There is also a general consensus amongst ICT stakeholders and major players that any ban on Huawei will significantly impact the rollout of 5G networks. Vodafone CEO Nick Read has already publicly stated that a ban could delay the commercial deployment of 5G in Europe by up to two years. It has been reported that the GSMA Director-General Mats Granryd has written to its members about Huawei and has said the current situation involving the Chinese vendor should be part of its agenda on its next board meeting in Barcelona later this month. The GSMA represents mobile operators globally, and united more than 750 operators with over 350 companies as part of a broader mobile ecosystem, which includes the handset and device manufacturers, equipment providers and internet companies. Huawei has found itself at the centre of intense scrutiny from the US in recent months, and was just like week charged with a number of indictments related to intellectual property theft and fraud. Huawei has vehemently denied any wrongdoing and has accused the US of participating in an ‘immoral political campaign’. Diplomatic tensions between Beijing and Washington are strained and officials from both countries are set to meet again later this week to resume trade talks. However, this isn’t the first time the US has went after a high-profile Chinese telecommunications company. Huawei’s domestic rival ZTE was pushed to the brink of bankruptcy after draconian measures were imposed against them by the US Department of Commerce. Huawei has been banned from any role in the rollout of 5G networks in Australia and New Zealand. The European Union has said it will look at the issues that have been alleged by the US. Accenture, a global professional services company in the IT sector, unveiled a series of exciting new e-commerce solutions at Mobile World Congress 2017 in Barcelona. It was in the area of IoT and 'connected devices' that Accenture excelled and garnered most attention. The IT services colossus outlined its plans to implement technologies in order to create what it describes as 'frictionless transactions'. In one demonstration, Accenture representatives displayed an application which would enable a driver to be able to fill up his car with whatever fuel the particular model required, proceed to pay for the transaction, receive a receipt and avail of some instore offers and discounts without even getting out of his vehicle. The driver wouldn't have to communicate with onsite staff in order to facilitate all these tasks – all the driver would have to do is use the mobile application, or the application designated for the vehicle dashboard. According to Managing Director of Accenture Digital, Richard Meszaros, who also heads Accenture's commerce team, the key focus from Accenture's point of view is enabling its clients to avail of the new 'innovation architecture' the company is providing - and to create new commerce models to provide services in an autonomous fashion. "We're really focusing on a lot of the innovations that we work on with our clients in order to create our new Accenture innovation architecture," said Meszaros. "I lead our commerce tower, which is focused on enabling new commerce models within the world of Internet of Things. Some of the things we're focusing on at MWC include an IoT marketplace that allows devices to make purchases for consumer services in an autonomous manner." In addition, the Accenture executive spoke of the company's vision for blockchain technology with a particular focus on its specific use for smart solutions such as contracts and other related devices which can be connected. "We're also focusing on blockchain technology and specifically its use for smart contracts and the ability to use that capability to be able to automate a complex transaction across a broad ecosystem of partners, and this, along with our innovation architecture, is just two examples of some of the solutions we're showcasing here at Mobile World Congress." When asked about how he viewed the impact IoT would have on businesses and organizations that adopt it, Meszaros was emphatic that not only would the area continue to expand rapidly but that it had the unique potential to allow companies to completely transform their business and redefine structures. "Depending on the research you see, there will be anywhere between 30-50 billion devices by the end of this decade," he said. "What I think is really exciting is that these devices are becoming smart and contextually aware – which allows our clients with Accenture's help to reinvent their entire business models. "It enables them to be able to take advantage of the unique capabilities of these devices and all of the data that is available to really define new ways to serve their customers, create new business opportunities, and ultimately address challenges in their business today, and that's the most exciting thing for us at Accenture." IoT is a big topic that has transfixed the industry and research indicates it's about to get a lot, lot bigger in the forthcoming years. However, as more and more businesses embrace the technology; one issue that consistently arises is that of IoT security. Can organizations protect their data from cybersecurity attacks when adopting IoT devices? Meszaros believes security is of "paramount importance" in relation to IoT for Accenture – but said it was important to find out firstly what data is on the device and establish whether or not the device actually needs access to it. "Security has to be paramount when you think about IoT and how these devices will interact with these new ecosystems," said Meszaros. "I think the key area to think about is what data is on the device. We have to establish whether or not that device needs access to the data or if it can it be tokenized for instance to be able to facilitate the transaction." In an e-commerce environment, no consumer would want to put a 16 digit credit card number into a refrigerator, Meszaros explained, but the ability to use a token that represents that payment credential and that fridge could initiate that transaction by using that token. "It's a great example of how the industry can use existing capabilities to be able to facilitate these new next generation commerce experiences." These are exciting times for Accenture which indicated clearly at MWC that it will be vying to retain its position at the forefront of IoT technologies in the forthcoming years as mass adoption of IoT and the creation of connected applications, devices and platforms continue to expand at a rapid pace. However, for now, according to Meszaros, Accenture's vision is to help its clients take advantage of the new IoT world and allow them to innovate and transform their business by using Accenture's solutions. "What we're about is helping our clients take advantage of this new IoT world and to innovate in that area, so that's what is so exciting about the release of Accenture innovation architecture," said Meszaros. "It allows us to work with our clients from concept all the way to rapid prototyping, to scaling these solutions all the way to an enterprise launch. That's primarily what we're focused on here at Mobile World Congress: how we can help our clients transform and innovate in their business using that architecture." Telecom Review secured an exclusive interview with ZTE Director of Wireless Innovation Solutions, Summer Chen, in order to find out where the company stood in relation to implementing 5G technologies and establish what projects it's currently working on to ensure the transition from 4G to 5G. The Chinese telecoms giant made a number of major announcements at Mobile World Congress this year in Barcelona. The launch of ZTE's Gigabit handset phone generated huge attention from industry analysts, media personnel and technology enthusiasts. ZTE boldly claimed that its new device would 'revolutionize human connectivity'. At a pre-MWC press conference, a spokesperson for ZTE insisted that the term innovation isn't just a slogan for the Chinese company and that its latest device would take user experience satisfaction to a new level. This was just one of many announcement made by ZTE; the topic of 5G was raging hot at MWC. When we last spoke you were heading the Radio Frequency Department at ZTE. Are you still in that position? I'm now more focused on high-level customer communications with our VT innovation solutions for the network in order to help with the network strategy, to help them serve the network pinpoint and assist them in implementing new competitive communications and ICT revolutions. I'm now the director of Wireless Innovation Solutions at ZTE. I have a team that is responsible for ensuring high-level customer relationships and discussing the latest innovation solutions and requirements. Can you highlight some of the projects that you're currently working on for ZTE? I'm solely focused on Wireless Innovation Solutions at ZTE, and at the minute we're focusing on Pre5G; it is a high innovation solution, realizing 5G technologies can be commercially deployed in 4G networks. ZTE is playing a leading role in Pre5G especially in massive MIMO solutions. We've had major success in both domestic and international markets. 5G is also my responsibility to show ZTE's leading technologies and innovation solutions in the industry. So, I like to demonstrate the advantages and ZTE's rich experience to our customers. In your opinion, can you share some of the advantages that you think will benefit people when 5G is introduced? 5G will provide a rich experience and will enhance mobile broadband connectivity. It will allow you to share all kinds of services and will enable people to be connected at all times no matter where they are or what situation they're in. You can experience high data rates in VR, AR and this is just in relation to human communications in 5G areas. The other important features in 5G areas are massive IoT and uRLLc in enterprise applications such as self-driving vehicles. The digital industry will be extremely interesting in the future as it has the potential to change our whole society. Is ZTE currently working with any customers right now who are already looking at 5G and want to implement it soon? Or do you think it's going to be something that's more 2020? 5G is a hot topic this year and some of the operators and industry companies have announced that they will deploy 5G networks at the end of this year or the beginning of next year. We call them non-standard 5G networks. At ZTE, just a few days ago, we announced collaboration with Qualcomm and China Mobile in which we will follow 3GPP 5G standard to have a 5G NR trial on 3.5 GHz in China. ZTE will become one of the first companies to deploy commercial 5G standard networks in Q3 next year after 3GPP 5G standard frozen. What are some of the challenge facing ZTE in terms of implementing 5G? There will be a lot of challenges in how 5G is deployed in the future. 5G NR will be deployed in a new frequency band so we are closely corporate with the custom for sub-6Ghz and mmW products, within the most cost-efficient way possible with high performance. Another challenge in 5G deployment is front haul and backhaul requirements. For this, we already have a solution called flexi haul. Another important aspect for operators is the development of their core parts for virtualization and cloud innovation. The whole architecture will be changing, so I think we can do lots of things before the commercial deployment of 5G to make the network virtualization and cloud innovation ready. ZTE has advantages and rich experience in all these areas and we're confident that we will be one of the first vendors to deploy commercial 5G networks. In your opinion, what will happen to 4G? Will it become irrelevant or will it still be something that will be used a lot? In Europe, I think 4G will still be a critical network in order to accommodate large volumes of traffic and will be around for a number of years as operators attempt to make money back on the significant amounts they invested in 4G. ZTE has innovation solutions; we call it Pre5G. We realized 5G key technologies to help 4G operators make their 4G networks more compatible, especially in network capacity, provide better user experience and to add further service opportunities such as the internet of things. We help them deploy new solutions to expand their enterprise market. The cloudization of Pre5G helps the operator in building an elastic, open and flexible network which is ready for 5G in the future. You've spoken about Pre5G and 4G. What is 4.9G? Is it the same thing or is it something different? There are some different solutions in the industry. We're not only offering LTE Advanced Pro features following the R13, the most important innovation we use are 5G key technologies such as massive MIMO in advanced to making them commercially deployed in 4G network It doesn't change the air interface; it doesn't need change to the 4G terminal, so our solution is 4G terminal compliance. We're using operator's latency network and frequency resources in order to improve their capacity by at least six to eight times. For Pre5G massive MIMO products, ZTE is playing a leading role in the industry. What sort of showcases have you presented to help people understand this and could you talk about some of the demonstrations you've got going on to help attendees understand what ZTE is working on in its efforts to implement 5G? In our ZTE booth, we've presented the first Pre5G Massive MIMO product: the basestation is using massive MIMO technologies in order to help the FDD operator to increase its network capacity in a fast, easy and cost-effective way. We're also showcasing our latest Pre5G TDD massive MIMO second generation products. Compared to last year, the new generation of TDD Pre5G solutions is supporting more frequency bands and much wider bandwidth and even higher throughput. All of these products will give ZTE rich experience in 5G technology deployment. ZTE launch 5G product family including sub 6 Hz and mmW products. We're also making another demonstration in relation to 5G, which is a millimeter wave 5G basestation where we're using a demo system which has achieved cell throughput over 50Gps. ZTE is a key player and contributor for global 5G standards and research. A few days ago, ZTE China mobile, Qualcomm committed to collaborate on a 5G NR trial at 3.5GHz to accelerate wide scale 5G deployments in China. This is exactly the one to be kept developing, aiming to make 3GPP 5G NR standards a reality. #MWC17: Ushering in a new era of IoT, 5G and cloud – the next element! Mobile World Congress, the world's annual gathering for the mobile industry, was held in Barcelona this year from 27 February to 2 March. As the most anticipated event of the year for the industry, thousands of people come to Spain's Mobile Capital to meet and greet industry experts, witness the latest mobile and technology announcements and trends in the sector, and to find out what the next year's technologies will be. This year's MWC event saw plenty of exciting releases, including phones, tablets, and other smart devices. Huawei, LG, Sony, ZTE, Nokia and even BlackBerry announced new smartphones at the event. Huawei unveiled an impressive new smartphone, the Huawei P10 and the larger P10 Plus, featuring dual Leica rear camera lenses, a longer-lasting battery and fingerprint sensor system. Finnish startup HMD Global relaunched one of Nokia's most popular devices at MWC - the 3310 - which was first launched to the mobile phone industry 17 years ago. Nokia's 3310 is considered an iconic handset due to its incredible popularity amongst customers in the early 00's when Nokia dominated the mobile phone market. Nokia also introduced a range three new Android smartphones: the Nokia 6, Nokia 5 and Nokia 3. TCL Communication launched a new high-end BlackBerry device at MWC, the KEYone, which brings back the brand's signature physical keyboard and has a larger screen than previous models. Like Nokia, BlackBerry phones will be made under license by another manufacturer. Samsung, which didn't unveil a new smartphone, announced a premium tablet at MWC, and two all-in-one PCs at the event. The Galaxy Tab S3 is powered by Android 7.0, and now comes with an S-pen for jotting notes and sketching on the screen. The company also announced a new keyboard for the Tab S3, available as an additional purchase. With Android 7.0 installed on the Tab S3, Samsung adopted Google's multi-window mode, and quick app switching, in lieu of the company's previous TouchWiz solution. On day one of Mobile World Congress, Ericsson's newly appointed CEO, Borje Ekholm, vowed to restore the Swedish company's reputation - and declared that under his guidance the organization will be at the forefront of the evolution of 5G technologies. Ekholm was appointed as the new CEO in October 2016, but didn't officially become CEO until January 16. He replaced Hans Vesterberg, who had been Ericsson's CEO for the previous seven years. At a press briefing, Ekholm pledged to turn around Ericsson's flailing fortunes and lead them out of one of the most tumultuous periods of its history. Ericsson has endured a difficult number of years - last year the Swedish telecommunications giant was forced to axe thousands of staff in both Sweden and Italy in a desperate effort to reduce costs. In addition, Ericsson was rocked to the core by allegations from former executives that Ericsson had allegedly bribed a string of high profile politicians across different regions in an effort to secure major contracts in those countries. Former executive Liss-Olof Nenzell handed the US Securities and Exchange Commission (SEC) documents relating to the alleged kickbacks. In defense, Ekholm delivered a passionate address at MWC, declaring that Ericsson is ready to explore 'unchartered territory' in its bid to rollout 5G technologies. Ekholm disclosed that Ericsson was making 'significant headway' and was adamant that the firm would be at the forefront of the 5G evolution. Ekholm said: "Of course 5G has been a buzzword and nothing has really happened, right? But what you are seeing now is the momentum we are building. We are entering into a whole new market, in a way (it's) uncharted territory. We are connecting new things, this will require us to enter into new partnerships and new collaborations and new business models basically." The CEO said there was 'real momentum' starting to build towards 5G and added that organizations ranging from network companies, to mobile phone makers, to semiconductor businesses are united in their efforts to make 5G a reality - the future of mobile internet was a key theme and prominent feature of discussions all week at MWC 2017. Ekholm also declared that Ericsson's future will require grit and grace in an attempt to transform itself back into a global leader. Ekholm concluded by saying, "At Ericsson we're focused on setting our future direction - but the process will take a lot of grit, grace and huge amount of team work." Another leading vendor at MWC, Chinese smartphone vendor Huawei, caused a stir at the event when it unveiled its latest smartphone with a better camera in an attempt to exploit the gap in the market left by Samsung's withdrawal of its flagship device due to problems with the battery. Samsung was forced to recall all of its flagship Galaxy Note 7 units last October after reports emerged that the devices were catching fire and in some cases even self-combusting. The South Korean conglomerate is subsequently delaying the launch of its new flagship smartphone until later this year. Apple traditionally avoids Mobile World Congress, so that left Huawei - the world's third largest smartphone maker - with a brilliant opportunity to seize the spotlight at the show. Huawei launched the P10 and the larger P10 Plus which feature dual Leica rear camera lenses, a longer-lasting battery and fingerprint sensor system. "The P10 and the P10 Plus will make every shot a cover shot," said Richard Yu, chief executive of Huawei's consumer business group, at a presentation. The company managed to gain ground on Samsung and Apple in terms of market share last year, increasing its share of the smartphone sector to 8.9 percent in 2016 from 7.3 percent a year earlier, according to the Gartner consultancy group. Samsung saw its market share shrink over the same period by two full percentage points to 20.5 percent and Apple contracted to 14.4 percent from 15.9 percent. The P10 will sell for 649 euros ($685), the P10+ will cost 799 euros. Huawei also unveiled a 'smartwatch' that contains a sportier look than the first device it introduced two years ago, targeting fitness users. In other vendor news, Nokia delivered on its strategy to lead in 5G, IoT and cloud, tap new growth markets. On the eve of MWC, Nokia's launches of solutions covering 5G, the Internet of Things (IoT), software and cloud underscored the breadth and strength of a product portfolio bolstered by the acquisition of Alcatel-Lucent in 2016. Nokia outlined how the rapid execution of its new strategy is delivering industry-leading innovation for communication service providers in network speed, agility and efficiency, while broadening the company's footprint in faster-growing areas including software and the utilities and transport markets. "Nokia comes to Mobile World Congress this year with a bigger and fully end-to-end portfolio to sell, and with groundbreaking innovations to share," Nokia President and CEO Rajeev Suri said. "All of this is underpinned by an organization squarely focused on the execution of our strategy to lead in high-performance networks with communication service providers, expand to new verticals, build a strong standalone software business and create new business and licensing opportunities in the consumer ecosystem," he added. New products like 5G FIRST, announced at the company's press and analyst event, showed Nokia's innovation strength to deliver differentiated products that connect not only millions of users but interconnect billions of things to create what Nokia calls the 'global nervous system,' Suri added. Nokia 5G FIRST comprises its radio access network (RAN) including Nokia AirScale massive MIMO Adaptive Antennas, packet core and mobile transport solutions as well as a full service offer using Intel architecture and the Intel 5G modem for initial deployments starting in 2017. With the introduction of 5G FIRST, operators will gain a first-to-market advantage based on early specifications. In addition, Nokia will use the lessons learned through real-world deployment to contribute to final 3GPP standardization of the technology. While each operator has its own timeline for moving to 5G, some leading providers are eager to take advantage of the extremely high capacity and low latency connectivity it promises to deliver. To meet early-adopter demands, Nokia confirmed it will make its commercial 5G FIRST end-to-end solution available later this year. Leveraging Nokia's end-to-end network capabilities, 5G FIRST also incorporates the multi-access Nokia Cloud Packet Core and the Nokia Shared Data Layer as part of a cloud-native core architecture to deliver the flexibility, massive scalability and performance operators need to rapidly and cost-effectively deliver 5G services. A comprehensive array of mobile transport offerings from Nokia address the critical capacity, reliability and latency requirements of the 5G era. As a next step in a new technology collaboration with Intel, Nokia will leverage the Intel 5G modem for initial deployments of 5G FIRST to deliver ultra-broadband to the home using fixed wireless access as an alternative to existing fiber deployments. To share insight on future innovations, Nokia also demonstrated a 5G wireless mmWave-based small cell deployment with self-backhauling capabilities. Using an innovative cloud-based mesh topology manager, it creates an in-band meshed network with self-organizing, self-healing and load-balancing capabilities. What's more, SAP made a splash at MWC this year, demonstrating new technology to make life easier for drivers and rental car users through Internet of Things (IoT) in collaboration with Concur Technologies, Hertz and Nokia. A part of the SAP Leonardo portfolio, the SAP Vehicles Network solution creates an intelligent, automated experience - from car rental to parking and fueling location and payment, to integrated navigation and expense management for business travelers. SAP also announced that Mojio, the connected vehicle platform and app provider for Deutsche Telekom and T-Mobile USA, has joined SAP Vehicles Network and will provide parking and fueling through its app in the United States and Europe. SAP Vehicles Network, built on SAP Cloud Platform, enables participating network companies to provide mobility services to drivers and passengers. By standardizing the business processes, SAP Vehicles Network enables integration and collaboration to facilitate new revenue streams and business opportunities for network members. Through the network, member companies can offer secure, convenient services - independent of devices or vehicles - such as parking, fueling and location-based food services, tailored for the business traveler or the individual consumer. Leading Qatari mobile operator Ooredoo showcased next-generation solutions and services on its pavilion at MWC, demonstrating the incredible progress it has made in recent years. The company took visitors on a journey from the days of voice and text through to the super-connected era of 4.5G and 5G now made possible by Ooredoo's advanced Supernet technologies. Using a special video demonstration of 5G-enabled robotics, Ooredoo showed the faster and smoother performance of Ooredoo 5G and the potential for Internet of Things applications, with the reduced latency and high-speed network enabling real-time communication between machines. Joining next-generation and lifesaving technology together, Ooredoo also premiered its 'Ooredoo Rescue' concept. Using pioneering drone technology, Ooredoo aims to enable Coast Guards to respond faster and more accurately to emergencies by providing a live video feed of the situation remotely and deploying an emergency raft via the drone. The Ooredoo Rescue solution includes a host of stations on a series of made-to-order buoys that are anchored around the coast. Each buoy is equipped with cameras, powered by solar technologies that can monitor the seas in real time. Ooredoo also presented a broad range of mobile health solutions, including "You Click, We Care", which brings advanced medical monitoring and interaction straight to the home. Patients with chronic diseases can receive full medical attention from professionals with just one click on a mobile device, while advanced monitoring and alerting algorithms enable doctors to intervene as required before an emergency situation. In addition, Zain Group was recognized as the winner of the GSMA's "Outstanding Contribution to the Mobile Industry Award" for 2017. The award was presented to Zain Group and four other mobile operators Asiacell, Deutsche Telekom, Turkcell and Vodafone on 26 February 2017, the eve of Mobile World Congress, at the GSMA's annual Welcome Dinner at the Palau de la Música Catalana in Barcelona, in the presence of His Majesty, King Felipe VI of Spain. Zain's recognition in this manner was based on the work the telco continues to undertake around the region to assist and improve the living conditions of the most vulnerable sectors of society, including those fleeing the crisis in Syria. In particular, GSMA applauded Zain's creation of several commercial packages in the Middle East intended to facilitate connectivity, which is much needed amongst refugees and internally displaced people. Another major development at MWC was the announcement of MoU's (Memorandum of Understanding) between Huawei and Zain Saudi Arabia. The collaboration between the two organizations will see them partner on a number of new technologies and services in an attempt to further develop the operator's ICT offering to its customers. In addition to this, the collaboration will also help them contribute significantly to the Kingdom's digital transformation goals. Present at the signing of the MoU's were Zain Saudi Arabia CEO, Peter Kaliaropoulos and CEO of Huawei Tech Investment Saudi Arabia, Mr. Ramadan Ding. Under the first MoU, both companies will explore new avenues of cooperation to accelerate the Kingdom's digital transformation - which is one of the key factors of the Saudi 2030 Vision - as they define a network evolution path to help Zain deliver advanced services across its network. Zain Saudi Arabia and Huawei have also identified several revenue-generating services to be implemented in the Kingdom, those of which rely on Internet of Things (IoT) capabilities, like smart homes and utilities, connected cars, Huawei's MuchTV, Game RS and digital music services. Another MoU will focus on Zain's B2B solutions and include developing a Fiber to the x (FTTX), Public Cloud domain and unified communication which will see launch of a business hotline and develop 15,000 SME in 2017. Since the beginning of 2017, Zain Saudi Arabia and Huawei Tech Investment Saudi Arabia have jointly announced a number of partnerships, with the most recent being the launch of a commercial NFV-based IMS network, which makes Zain the first operator in the world to move legacy networks onto clouds and simplify the network structure, resulting in a significant enhancement to the telecom provider's ability to cope with the future demand and network requirements. On the third day of MWC, and in line with the event, Lebanese Minister of Telecommunications, Hi Excellency Jammal Jarrah, held a welcoming gathering with the Lebanese ICT Diaspora to provide updates about the Lebanese Telecom sector in a Q&A environment. Five members in the panel were present with his Excellency, including Imad Kreidieh, head of the state-owned telecommunications company Ogero; Bassel Ayoubi, general director of investment and maintenance at the Ministry of Telecommunication; Naji Andraous, general director of installation and equipment; Naji Abboud, head of Owner Supervisory Board and the Minister's consultant Nabil Yamout. 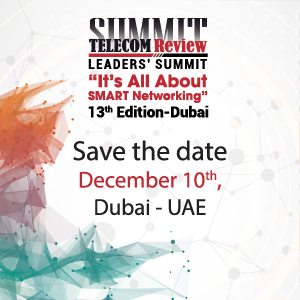 The conference was moderated by our very own Toni Eid, Editor-in-Chief of Telecom Review. In his speech, the Minister of Telecommunication began by welcoming the Lebanese community present at Mobile World Congress, mentioning his astonishment with the Lebanese potential in the telecom sector and the diversification of the Lebanese skills in the region and abroad, knowing that most of the world's renowned companies comprise Lebanese people. According to the Minister, the telecom sector is an essential pillar in the progress of any country, economically speaking. "It's part of the community's daily social and economical life. For this reason we have to enhance this sector as much as we can in order to keep pace with other nations and give the Lebanese community the best services," he said. The GSMA announced that Sony's Xperia XZ Premium is the "Best New Smartphone or Connected Mobile Device at MWC 2017" at the annual Global Mobile Awards (Glomo Awards) at Mobile World Congress 2017. "Xperia XZ Premium is our most technologically capable smartphone ever," said Hiroki Totoki, President and CEO at Sony Mobile Communications. "We're honoured by this recognition - Xperia XZ Premium has received endorsement from operator partners, media, consumers and industry peers alike, which is testament to our relentless pursuit of innovation, to deliver great products and experiences for consumers." "Our congratulations to all of the winners and nominees of the GSMA's Glomo Awards at Mobile World Congress this week," said Michael O'Hara, Chief Marketing Officer, GSMA. "The Glomo Awards truly showcase those companies and individuals that are driving innovation in the rapidly evolving mobile industry. We thank all of our entrants, judges, sponsors and partners for supporting the 2017 Glomo Awards." Xperia XZ Premium features Sony's new Motion Eye camera system to enable advanced features and excellence in picture quality, as well as the world's first 4K HDR display in a smartphone (5.5"). Motion Eye is capable of 960fps Super slow motion video capture and playback, which is four times slower than any other smartphone. Xperia XZ Premium rolls out globally from late Spring 2017 - available in Luminous Chrome and Deepsea Black. Huawei's NFV solution was awarded Best Technology Enabler at MWC 2017. This award points to the recognition within the industry of Huawei's leading capabilities and outstanding performance in NFV architecture, technology, commercial application, and the evolution toward Cloud Native. Organized by the GSMA, Mobile World Congress is the world's most influential event in the mobile communications sector, and the GSMA Global Mobile Awards are considered the highest honor within the industry. Huawei hit the ground running by developing NFV solutions using the Cloud Native concept. Moving beyond basic virtualization, Cloud Native enables telecom networks to become fully distributed and automated, giving them greater elasticity, robustness, and agility. This helps operators enhance network efficient and deliver inspired user experiences, and enable agile innovation in services for better digital transformation. Elastic: The Cloud Native network has a distributed architecture, so resources can be dynamically deployed wherever they are needed to support applications. It is a "sensing" network that recognizes the services deployed, and an elastic network that can adapt to support those services. There are two types of elasticity: capacity elasticity and topology elasticity. Capacity elasticity means that all network resources are pooled. Network software can orchestrate any part of the fabric across multiple data centers, and capacity is no longer the bottleneck. Topology elasticity means the ability to deploy resources to any required geographical location, enabled by control/user plane separation and service orchestration. Robust: An intelligent network builds in robustness at the network and service levels. The network is decentralized, with stateless elements, N-way redundancy, and inter-DC service provisioning. Active fault injection, monitoring, and self-healing processes are combined with big data analysis and management of services, enabling fault prediction and automated controls. Ultimately, an intelligent network delivers carrier-class service reliability even over unreliable infrastructure. Agile: Agility means service orchestration + programmability + ISSU (in service software upgrade). Flexible service assembly, service autonomy, and distributed deployment are achieved by decomposing network functions into microservices, and applying a service governance framework, data model, and a programmable user interface. Services and new functions can be delivered as needed, so the network can instantly respond to the needs of very different services required by different industries. Using key Cloud Native technologies, Huawei has already rolled out its Cloud Native VNF solution, which has been widely adopted on core networks. Huawei remarked at MWC 2017 that the company will continue to optimize solutions revolving around service needs, and through such efforts will help to build 5G and better connected agile networks. As of January 2017, Huawei had won over 170 contracts for cloud core networks. In addition, Huawei is a strategic partner and co-innovator with Vodafone, Deutsche Telekom, and other global leading operators on their Cloud Native strategies. At MWC 2017, Huawei presented a Cloud Native demonstration developed with Vodafone. Looking to the future, Huawei will continue to help operators build more open, more innovative, more sustainable ecosystems around their Cloud Native networks, with the aim of creating more new services and more value. China Unicom and Deutsche Telekom announced a strategic partnership at Mobile World Congress 2017. From now on, both firms will jointly enhance their M2M competencies and promote the expansion of existing and new technologies such as NarrowBand IoT and the expansion of IoT platforms, with the goal to lay a firm foundation for continued growth and joint business opportunities in Europe and China. The cooperation allows customers from Deutsche Telekom to equip and manage devices with M2M connectivity also in China and manage this connectivity via the same portal that they use for Europe and other regions. China Unicom customers will experience the same benefits on the China Unicom portal when they are offering M2M products and solutions in Europe. This move is important because the demand for global M2M connectivity is increasing. According to the GSMA, China will account for 39 percent of all global cellular M2M connections by 2020, representing by far the largest M2M market. German technology and service companies are already investing heavily in tapping the potential of the emerging Chinese M2M and IoT markets. On the other side, Chinese Internet and technology companies have entered the field of IoT through wearable intelligent terminals, smart home, mobile health care, and many other businesses, and are eager to offer their services also in Europe. The interconnection of the Deutsche Telekom and China Unicom platforms will offer simple access for German and Chinese M2M customers to the other respective network. "With this agreement, we take a next step toward greater developments in the area of M2M connectivity for our customers. Our partnership with China Unicom accelerates business opportunities and paves the way for new services and applications for our globally operating customers," said Claudia Nemat, Member of the Deutsche Telekom Board of Management, Technology and Innovation. "Not only will this partnership underline both our technological advances but we will also be able to learn from one another. We are looking forward to exchanging ideas and sharing experiences." "We believe this is a good time for China Unicom and Deutsche Telekom to cooperate both technologically and commercially to jointly explore the Business opportunity in both China and Europe," said Mr. Yimin Lu, President of China Unicom. "China Unicom looks forward to future development of M2M connectivity that we will be able to offer our customers operating globally through this partnership with Deutsche Telekom. By creating synergies, we intend to shape the pathway towards future M2M connectivity as the leading global provider." TCL Communication launched the BlackBerry KEYone smartphone on February 25 at MWC 2017 following the inking of a licensing agreement with BlackBerry in late 2016. The BlackBerry KEYone smartphone smartly keeps legacy features beloved by Blackberry users, yet goes miles beyond the traditional Blackberry device. TCL chairman and CEO Tomson Li said at the event that BlackBerry licensed its security software and service suite, as well as related brand assets, to TCL Communication, who would design, manufacture, sell and provide customer support for BlackBerry-branded mobile devices. The new product became an instant hit as soon as it was launched and received nine awards from media organizations, making it one of the most highlighted products at MWC. KEYone is turning the way the keyboard on a smartphone is normally used on its head by combining the touch screen with a physical keyboard, providing users with a large input space in comparison to what one gets with the standard 5.5-inch full-touch-screen smartphone. By combining the smart keyboard with the popular touch gesture recognition and BlackBerry's traditional touchpad features, the device allows users to browse web pages, check emails as well as input and send messages by touching the keyboard in a more convenient and intuitive way. KEYone was awarded the Best of MWC 2017 by Pocket-lint, the largest independent product evaluation platform in the UK, for its unique design. Pocket-lint commented that one of the positive results of the brand licensing tie-up between BlackBerry and TCL is that the KEYone continues the legacy and spirit of BlackBerry by preserving the classic full keyboard that is favored by loyal BlackBerry users. KEYone stands out with its iconic BlackBerry design and security features. The new smartphone is designed with unwavering attention to detail from the ground up in terms of the security and performance aspects that are so important to users. It delivers a secure experience available among Android-based smartphones in the market by running on a reinforced operating system and the proprietary technology behind the design of the security key. Besides the unique design and the security features, the phone's additional functionalities are expected to reshape the mobile communication experience for business, government and corporate users. Powered by a 3,505 mAh battery, the highest capacity among existing BlackBerry devices, the BlackBerry KEYone delivers a measurably longer standby time. In addition, the battery can reach a 50 percent charge within 36 minutes with the support of the Qualcomm Quick Charge technology. Time-pressed users can choose BlackBerry's Boost charging option for a quick charge enabled with the turbo boost technology. TCL Communication also showcased the interoperability of software-defined radio UE and commercial TD-LTE small cell base stations at the MWC. As 5G telecommunication technology gradually takes root worldwide, software-defined radio can be expected to play an increasingly important role in driving software-driven telecommunication systems. This offers developers the flexibility and reusability of upgrading applications and systems, without the need to replace hardware components every time there is a software upgrade. The demonstration showed how the Open Air Interface (OAI) UE can receive a live downlink video stream from China-based telecommunication network optimization products manufacturer Sunnada Communications' commercial TD-LTE small cell. OAI is a leading open-source software that emulates LTE systems on general purpose processor platforms. TCL Chairman and CEO Tomson Li said in an interview that he is optimistic about 5G technology and believes 5G products and technology will be the trend of the future. TCL Communication has already foreseen the trend and undertaken a substantial amount of R &D in anticipation of the next generation of 5G technology. Although no mature 5G products have yet appeared, relatively mature development platforms have already been established. Manufacturers such as TCL Communication are able to demonstrate 5G technology for partners. The TCL chairman and CEO concluded with conviction: the 5G era is just around the corner. Li said he is deeply impressed by the rapid development of China's mobile communication sector. From mobile phones and devices to the number of users on the networks of China's mobile operators, Chinese manufacturers have moved to the front of the line and are increasingly becoming a leading force in the world's mobile communications industry. SK Telecom's 'oksusu,' its mobile IPTV service jointly operated with SK Broadband was recognized by the GSMA as the 'Best Mobile Video, TV or Film App' category at the Global Mobile (GLOMO) Awards 2017 at Mobile World Congress 2017. The 'Best Mobile Video, TV or Film App' category is presented to the very best and most compelling apps in the field of media, film, TV and Video content under the category of Best Mobile Apps. Available to all users including non-SK Telecom subscribers, oksusu boasts a differentiated pool of video content by offering approximately 115 different live TV steaming channels and over 17,000 diverse movies. oksusu also provides exclusive original content in collaboration with broadcasting houses and MCNs (Multi-Channel Networks) and its own 360 VR content to meet customers' varying needs and interests. SK Telecom applied a sophisticated personalization engine to offer a truly optimized experience for each user based on big data and also 'T Live Streaming,' the world's first true real-time mobile streaming technology, which reduced latency to 3 seconds, allowing more users to experience true real-time streaming services. Kim Jong-won, Senior Vice President and Head of Media & Home Business Office at SK Telecom and Mobile Business Office at SK Broadband said, "We are honored to be recognized globally for our innovation in media platform." Kim added, "SK Telecom will continue to pursue technological advancements in media ecosystem to meet users' needs." With GLOMO Awards 2017 as a momentum, SK Telecom will continue to focus on constructing the 'New ICT ecosystem,' which creates new value by combining various technologies and services, going beyond the role of conventional mobile carrier. Bharti Airtel, India's largest telecoms services provider, and Viavi Solutions announced at MWC 2017 that they have jointly conducted measurement and analysis of 4G and 3G smartphone performance-representing over 8,000 smartphone models-crowd-sourced using a big data approach from the live Airtel network, with help of location intelligence platform. The analysis was intended to evaluate variation in key performance indicators (KPIs) impacting user experience in various smartphone models, to develop a process for smartphone qualification using real-world quality of experience samples, and to provide manufacturers with data to improve future products. This initiative would shed light on smartphone quality and its impact on user experience, especially in an open market for devices. The study is available in a white paper co-authored by the two companies, and available at www.viavisolutions.com/sites/default/files/technical-library-items/bhartiairtel-wp-maa-nse-ae.pdf. A set of KPIs were selected to represent user experience based on smartphone performance. Viavi's location intelligence platform recorded measurements of these KPIs from smartphones representing 2.2 million unique subscribers in Delhi, capital city of India. For each KPI, a benchmark was set to indicate the minimum performance expected. For a 4G smartphone to qualify, it should meet set threshold in 8 out of 12 parameters or KPIs (at least four each for 4G & 3G). 3G only smartphone would qualify upon meeting set threshold in 4 out of 6 KPIs. Of the 8,000 unique smartphone models that were part of the study, 300 models accounted for 80 percent of the total smartphone population. Amongst the top 128 smartphone models, around 23 percent of 4G smartphones and 13 percent of 3G only smartphones did not meet the qualification benchmarks. The analysis confirmed that there is variation in smartphone types, and corresponding variation in user experience under the same network conditions. "Airtel is committed to delivering an exceptional experience to our customers," said Abhay Savargaonkar, Director - Network Services (India & South Asia), Bharti Airtel. "Given the massive scale of customers served by our network, this study provides a 360-degree view on customer experience and generates insights for collaborating with device OEMs to serve the customer even better."